Filmed in VistaVision and Technicolor this is lovely to watch at Christmas. The music of Irving Berlin is at the centre of this pleasant holiday film, and is a perennial favorite of audiences that discover this charming film, or just go back to visit from time to time. Directed by Michael Curtiz, a versatile Director who seemed at ease with drama as well as comedy, or musicals. 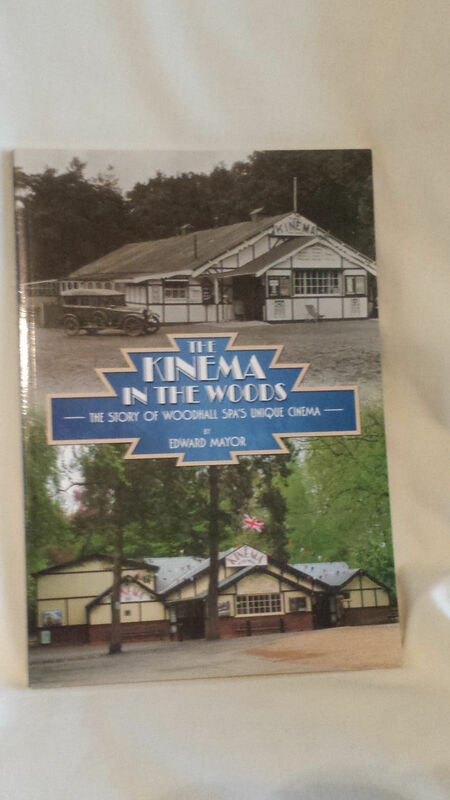 He shows a light touch that helps make this a cherished film for movie fans of all ages. The main reason for watching, besides Mr. Berlin’s wonderful tunes, is hearing those standard songs delivered by the likes of Bing Crosby and Rosemary Clooney, who were at the top of their game at this time. They had such wonderful and melodious voices, they enhance the songs they interpret. 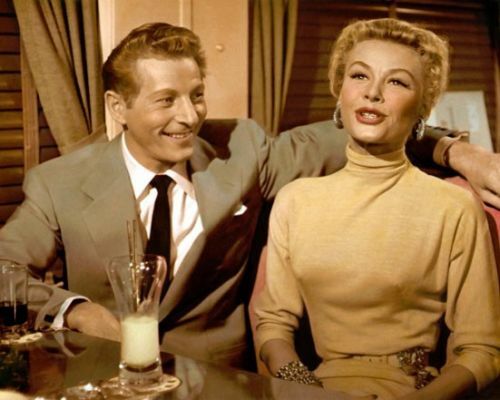 The story is just a pretext to bring together the talented principals plus Danny Kaye, Vera Ellen, Dean Jagger, and the marvellous Mary Wickes, in a film that will delight anyone, anytime, but especially at Christmas. In 2006, the American Film institute voted It’s A Wonderful Life the most inspirational film ever – despite its sometimes-dark subject matter. This Christmas marks 70 years since It’s A Wonderful Life was released, but what are the child stars doing now? Incredibly, the three actors who played the Bailey children have remained firm friends since the film was released in 1946. 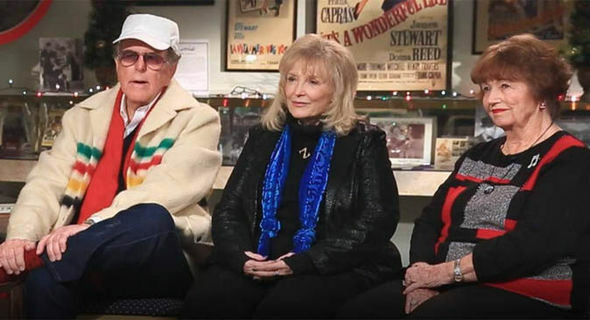 Karolyn Grimes, Carol Coombs and Jimmy Hawkins recently reunited for an interview to mark the movie’s milestone. Carol, who played Janie, beamed: “We’ve had a wonderful life – we’re three really good friends. “Young kids who grew up to really admire each other and love each other. It’s true friendship.”Karolyn added: “We’re like brother and sister in many ways.”The actress, who played Zuzu, also revealed that the Christmas classic was never actually meant to be a Christmas film at all. 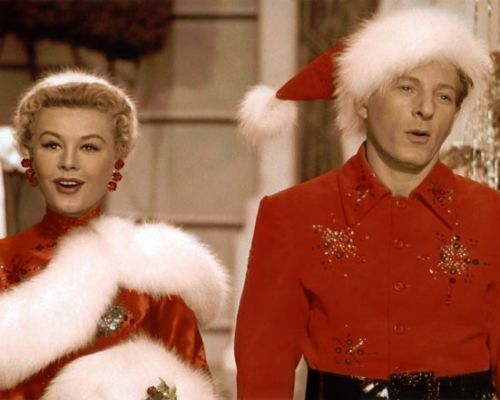 “It was supposed to be released in March 1947,” Karolyn revealed.Jimmy (Tommy) explained to ABC’s Al RokerAs millions of people around the world settle down to watch the heartwarming tale this Christmas, here are seven facts you didn’t know about the film. 1. The real Bedford Falls is located in upstate New York.Director Frank Capra is said to have based the town in which the film is set on Seneca Falls in New York’s Finger Lakes.2. Zuzu was actually a gingersnapRemember how George Bailey calls his daughter Zuzu his “little gingersnap”? That’s because there was a cookie called Zu Zu Ginger Snaps that existed up until the early 1980s. 3. The film began as a Christmas card and almost didn’t get madePhilip Van Doren Stern wrote the story on which the film is based on, The Greatest Gift, in 1939 but could not get it published until 1945 when he printed it as a 21-page Christmas card. A producer saw the card and snapped up the rights for $10,000, but had a string of scriptwriters quit because they found Capra condescending.4. George and Mary owe their romance to The Little Rascal’s AlfalfaGeorge and Mary found love after they started dancing at a school dance, only for the gym floor to open up revealing a swimming pool underneath. Freddie, the prankster who opened the floor, was played by Carl Switzer – who also starred as Alfalfa in The Little Rascals. Mary Owen wasn’t welcomed into the world until more than a decade after Frank Capra’s It’s a Wonderful Life made its premiere in 1946, 70 years ago this month. But she grew up cherishing the film and getting the inside scoop on its making from its star, Donna Reed—who just so happens to be her mom. Though Reed passed away in 1986, Owen has stood as one of the film’s most dedicated historians, regularly introducing screenings of the ultimate holiday classic, including during its annual run at New York City’s IFC Center. She shared some of her mom’s memories with us to help reveal 25 things you might not have known about It’s a Wonderful Life for the 70th anniversary of its premiere. 1. IT ALL BEGAN WITH A CHRISTMAS CARD. After years of unsuccessfully trying to shop his short story, The Greatest Gift, to publishers, Philip Van Doren Stern decided to give the gift of words to his closest friends for the holidays when he printed up 200 copies of the story and sent them out as a 21-page Christmas card. David Hempstead, a producer at RKO Pictures, ended up getting a hold of it, and purchased the movie rights for $10,000. 2. CARY GRANT WAS SET TO STAR IN THE ADAPTATION. 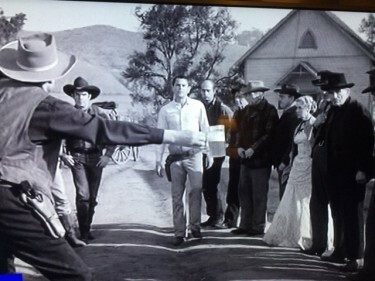 When RKO purchased the rights, they did so with the plan of having Cary Grant in the lead. But, as happens so often in Hollywood, the project went through some ups and downs in the development process. In 1945, after a number of rewrites, RKO sold the movie rights to Frank Capra, who quickly recruited Jimmy Stewart to play George Bailey. 3. DOROTHY PARKER WORKED ON THE SCRIPT. By the time It’s a Wonderful Life made it into theaters, the story was much different from Stern’s original tale. That’s because more than a half-dozen people contributed to the screenplay, including some of the most acclaimed writers of the time—Dorothy Parker, Dalton Trumbo, Marc Connelly, and Clifford Odets among them. 4. SCREENWRITERS FRANCES GOODRICH AND ALBERT HACKETT WALKED OUT. 5. CAPRA DIDN’T DO THE BEST JOB OF SELLING THE FILM TO STEWART. 6. IT WAS DONNA REED’S FIRST STARRING ROLE. 7. BEULAH BONDI WAS A PRO AT PLAYING STEWART’S MOM. Beulah Bondi, who plays Mrs. Bailey, didn’t need a lot of rehearsal to play Jimmy Stewart’s mom. She had done it three times previously—in Mr. Smith Goes to Washington, Of Human Hearts, and Vivacious Lady—and once later on The Jimmy Stewart Show: The Identity Crisis. 8. 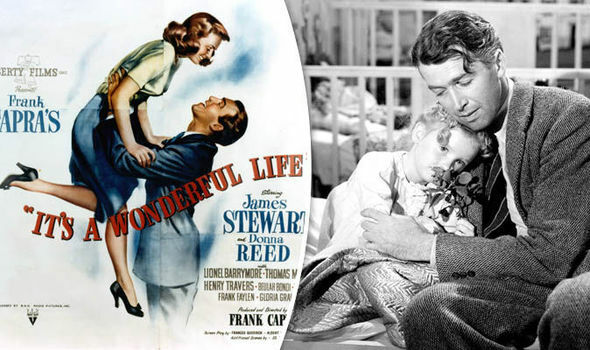 CAPRA, REED, AND STEWART HAVE ALL CALLED IT’S A WONDERFUL LIFE THEIR FAVORITE MOVIE. Though it has become a quintessential American classic, It’s a Wonderful Life was not an immediate hit with audiences. In fact, it put Capra $525,000 in the hole, which left him scrambling to finance his production company’s next picture, State of the Union. 9. A COPYRIGHT LAPSE AIDED THE FILM’S POPULARITY. Though it didn’t make much of a dent at the box office, It’s a Wonderful Life found a whole new life on television—particularly when its copyright lapsed in 1974, making it available royalty-free to anyone who wanted to show it for the next 20 years. (Which would explain why it was on television all the time during the holiday season.) The free-for-all ended in 1994. 10. THE ROCK THAT BROKE THE WINDOW OF THE GRANVILLE HOUSE WAS ALL REAL. 11. IT TOOK TWO MONTHS TO BUILD BEDFORD FALLS. Shot on a budget of $3.7 million (which was a lot by mid-1940s standards), Bedford Falls—which covered a full four acres of RKO’s Encino Ranch—was one of the most elaborate movie sets ever built up to that time, with 75 stores and buildings, 20 fully-grown oak trees, factories, residential areas, and a 300-yard-long Main Street. Though Bedford Falls is a fictitious place, the town of Seneca Falls, New York swears that it’s the real-life inspiration for George Bailey’s charming hometown. And each year they program a full lineup of holiday-themed events to put locals (and yuletide visitors) into the holiday spirit. 13. THE GYM FLOOR-TURNED-SWIMMING POOL WAS REAL. Though the bulk of the film was filmed on pre-built sets, the dance at the gym was filmed on location at Beverly Hills High School. And the retractable floor was no set piece. Better known as the Swim Gym, the school is currently in the process of restoring the landmark filming location. 14. THE TEENAGER BEHIND THAT SWIMMING POOL PRANK. Though he’s uncredited in the part, if Freddie Othello—the little prankster who pushes the button that opens the pool that swallows George and Mary up—looks familiar, that’s because he is played by Carl Switzer. 15. 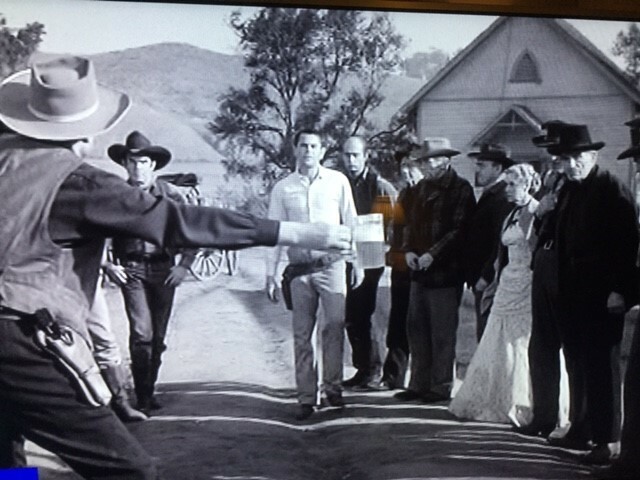 DONNA REED WON $50 FROM LIONEL BARRYMORE … FOR MILKING A COW. 16. THE FILM WAS SHOT DURING A HEAT WAVE. It may be an iconic Christmas movie, but It’s a Wonderful Life was actually shot in the summer of 1946—in the midst of a heat wave, no less. 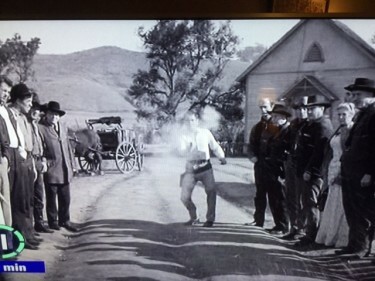 At one point, Capra had to shut filming down for a day because of the sky-high temperatures—which also explains why Stewart is clearly sweating in key moments of the film. 17. CAPRA ENGINEERED A NEW KIND OF MOVIE SNOW. Capra—who trained as an engineer—and special effects supervisor Russell Shearman engineered a new type of artificial snow for the film. At the time, painted cornflakes were the most common form of fake snow, but they posed a bit of an audio problem for Capra. So he and Shearman opted to mix foamite (the stuff you find in fire extinguishers) with sugar and water to create a less noisy option. 18. THE MOVIE WASN’T REQUIRED VIEWING IN REED’S HOUSEHOLD. 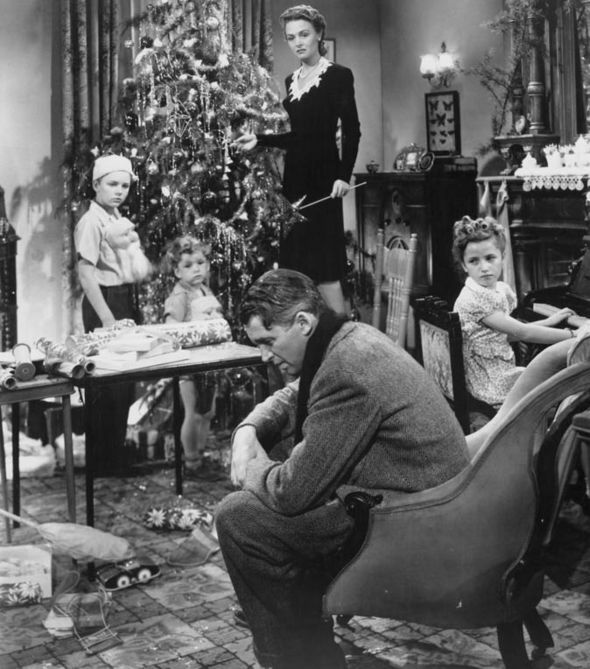 Though It’s a Wonderful Life is a staple of many family holiday movie marathons, that wasn’t the case in Reed’s home. In fact, Owen herself didn’t see the film until three decades after its release. “I saw it in the late 1970s at the Nuart Theatre in L.A. and loved it,” she says. 19. ZUZU DIDN’T SEE THE FILM UNTIL 1980. 20. THE FBI SAW THE FILM. THEY DIDN’T LIKE IT. 21. THE MOVIE’S BERT AND ERNIE HAVE NO RELATION TO SESAME STREET. 22. SOME PEOPLE ARE ANXIOUS FOR A SEQUEL. 23. THE FILM’S ENDURING LEGACY WAS SURPRISING TO CAPRA. 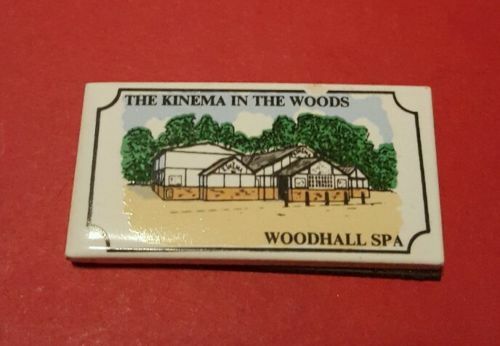 This Christmas at the famous Kinema In The Woods in this beautiful Lincolnshire village of Woodhall Spa, is a special showing of the seasonal classic film ‘Its a Wonderful Life’. Also as we have said before this is the home of The Dam Busters Squadron during the War – and that stylish hotel The Petwood Hotel was the meeting place for the RAF personnel at the time – and also many times afterwards at the many reunions which quite often had Richard Todd as a guest. 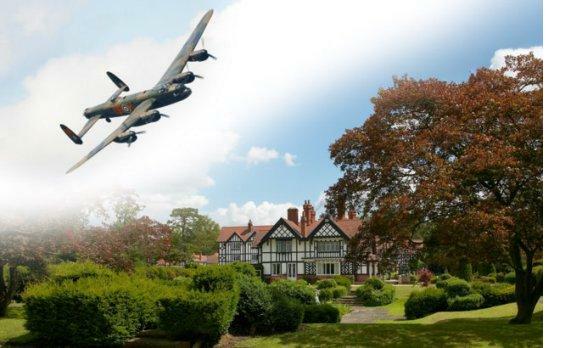 His connection was of course his playing of Guy Gibson in the film and the fact also that he lived in Lincolnshire for many years – plus he was a real war hero as a paratrooper having taken part in the taking of Pegasus Bridge. Watched this on Television this weekend 4 December 2016 – and took these stills from the film. Glenn Ford as the reluctant fast gun demonstrates his skill by first shooting holes in three coins when they are tossed in the air – and secondly this scene where he asks (quite forcibly) one of the townspeople to hold his glass of beer out as far as he can – and then on command drop the glass which he does. Glenn draws and shoots the glass into pieces – in an impressive way. 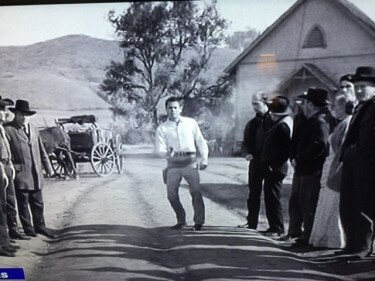 This film was a big hit in the mid fifties – Glenn Ford was nearing his peak at this time - and was soon to make 3-10 to Yuma and The Sheepman having just completed Jubal and Blackboard Jungle.